JEFFREY T. POLLOCK is an executive leader in the enterprise software business, as well as a university instructor and technology visionary in the emerging field of data semantics. RALPH HODGSON is the cofounder of TopQuadrant, a consulting firm that specializes in semantic technologies and services for software innovation through "Solution Envisioning with Capability Cases." 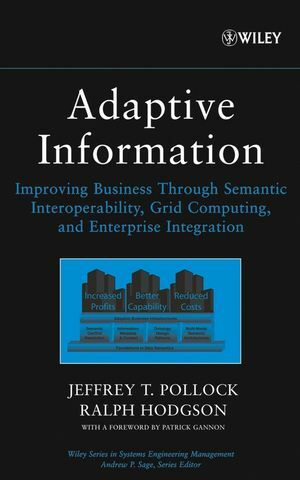 Part One: Why Semantic Interoperability? "Overall, I found the book to be enjoyable and informative, with lots of references and pointers to areas of interest. The variety of topics discussed within the book encourages the reader to read outside of their core specialisms." (BCS, 1 November 2010)"